On your way to Boulder from Denver, begin your day at Big Choice in Broomfield, one of the newer breweries in the area. Big Choice offers a great variety of beer and an enjoyable tap room with games, popcorn and the largest map from the Beer Drinker’s Guide to Colorado that we’ve ever seen. 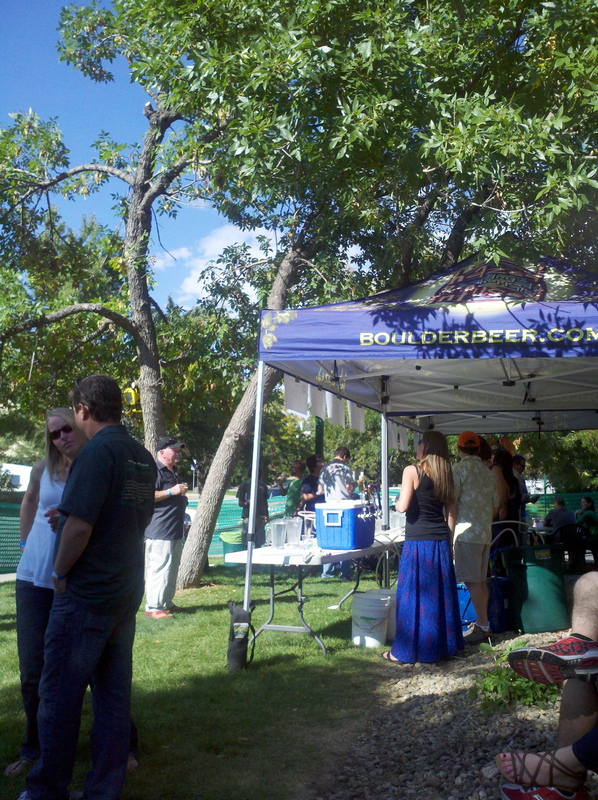 Boulder Beer Rave–One of the best parties of the year! 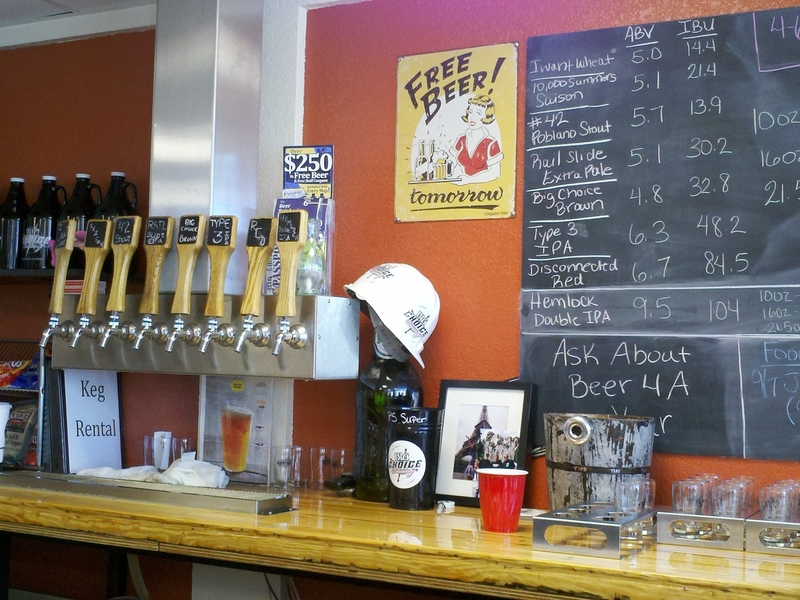 Head into Boulder City limits to drink at Colorado’s first microbrewery, Boulder Beer Company. While some establishments can easily grow too big to maintain their identity, or grow too comfortable that they stop innovating, Boulder Beer Company continues to create incredible craft beer, offer delicious production brews, and contribute to the industry with such events as the annual Boulder Beer Rave. For over 30 years, Boulder Beer has helped Colorado become the Napa Valley of beer. Now travel just a few blocks south to Twisted Pine Brewing, where you’ll find a diverse array of brews. Set in another industrial area, Twisted Pine has a loyal following that brings attention to their beer, originally brewed by the legendary Gordon Knight. Several local beer bars host Twisted Pine taps and their six packs and bombers are a perfect way to bring your favorite selection back home to share. You might now be wondering what downtown Boulder looks like. Your not far from the infamous Pearl Street, and while numerous delicious eateries line this pedestrian mall, Mountain Sun Pub and Brewery remains our recommendation for the best food and beer combo. If you’re at the end of your day and want to head back to Denver, Southern Sun, the sister operation to Mountain Sun, sits just south on Broadway/Highway 93. Deciding which one to visit should be based on where you’re headed, as Southern Sun offers the same excellent food and draft selection. Both locations have benefited from their third operation, Vine Street Pub and Brewery in Denver, opening their fermentation tanks last spring. The increased production capacity allows the family of breweries the opportunity to expand their selection and explore some really unique beer styles and recipes. Their tap menu often changes, and there’s almost always nearly a half dozen new beers I’m eager to taste. If you stayed in town and enjoyed Mountain Sun, walk the rest of picturesque Pearl Street and then drop into Walnut Brewery one block south. This is a completely different type of operation than anything else you’ve seen today and demonstrates the true diversity of beer drinking establishments in Boulder and in Colorado. Designed primarily as a restaurant/brewpub, Walnut Brewery offers excellent beer to drink while watching the Buffs, Broncos, or other Colorado sports teams. As mentioned on the entry page for these Boulder Loops, connect this day with a stroll in Chautauqua, a drive into Boulder Canyon, or even to a camping trip in Rocky Mountain National Park.